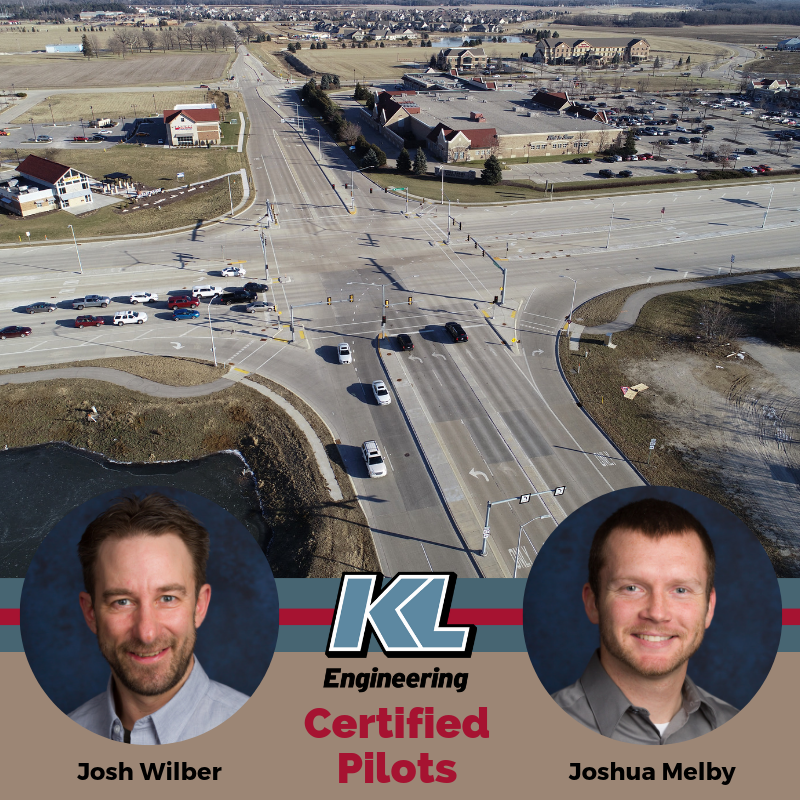 We are pleased to announce that Josh Wilber and Joshua Melby, PE are now FAA Certified Unmanned Aircraft System (UAS) Pilots. This certification is required to fly drones for commercial purposes. This aerial technology offers clients valuable tools such as: photos to inspect project progress, videos to observe traffic movements and patterns, 3D mapping to create visualization tools, and documentation to examine assets. This entry was posted in News, People and tagged Josh Wilber, Joshua Melby, KL Engineering.